Not sure about you, but we welcomed the new year with a few bubbles, laughter, family and friends. Actually perhaps a few more than just a few bubbles. So first of all, a huge Happy New Year to the lot of you! This year is all about you. New year new you and all. So we thought we might share our favourite recipes for keeping fit in January. Of course helping to shed all of that extra christmas weight. At our London Showroom we have a fantastic table called Allwood. It is actually perfect for times like Christmas when you need a little extra dining space. Despite being a coffee table it actually extends to seat 8 people. However, when the festive period is over and all of your family and friends go home, you can simply slide it back to a table for 4. 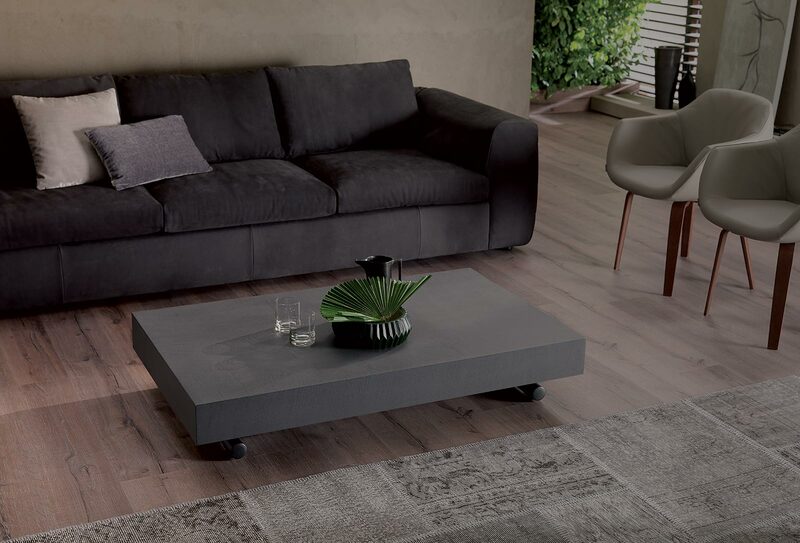 The first day back in our Showroom gazing at this gorgeous Cement version got us thinking. This post is all about the new year new you. So how can we start to get fit? So we came up with this. If a salad looks beautiful, on a stylish table…how can you not want to eat it? Our cement Allwood would fantastically display these Ottenlenghi salads. We are pretty sure that you must be as sick as us of the brussels by now. They just seem to keep on coming, so here is the famous Ottenlenghi Brussels salad. 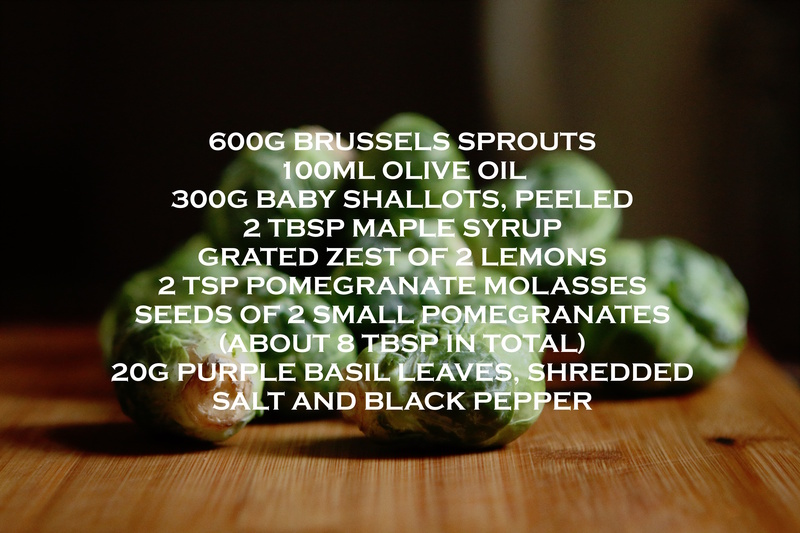 So rich with colour and sticky sweet, we are pretty sure that even if you don’t like Brussels you will like this one. With this one, there is no need to waste any of those leftovers. ‘Trim off the ends of the sprouts and cut them in two lengthways. Heat up a large wok or nonstick pan, and add two tablespoons of oil. Fry half the sprouts on high heat for about four minutes, until nicely golden brown all over but still quite crunchy. Transfer to a mixing bowl and keep somewhere warm. Add more oil to the pan and repeat with the remaining sprouts. Serve warm or at room temperature, with the remaining pomegranate seeds and basil sprinkled on top’. For the full recipe visit the Ottenlenghi website – our favourite food go to. Sticking to the wintery theme, we thought you might like to also try this Nutmeg wonder. After all, green salads most certainly do not have to be boring. ‘Fill a medium saucepan with plenty of unsalted water and bring to a boil. Drop in the beans and blanch for four minutes. Drain, refresh and set aside in a sieve to dry completely. Heat two tablespoons of olive oil in a large frying pan. Add the onion and half a teaspoon of salt, and sauté over a high heat for about a minute, stirring the whole time. Reduce heat to low and cook for five minutes more, stirring occasionally. You want the onions soft, sweet and just turning golden brown. Add remaining oil, garlic, mushrooms, nutmeg and pepper; cook on medium heat for another four minutes, until the mushrooms are golden. Remove from the heat and mix in the beans. Season to taste. Pile on a serving dish and sprinkle with chervil. Serve warm or at room temperature’. 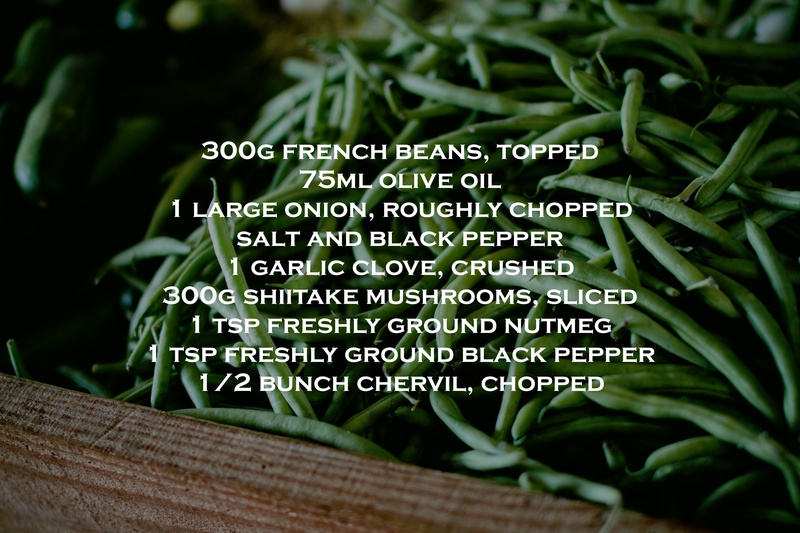 For the full recipe visit the Ottenlenghi website – I don’t even like mushrooms, and even I like the sound of this one! Good luck with your ‘New Year New You’ programme. Let’s get fit together!